The best thing about road trips is the surprise element - when you come across a place that you had no idea about, and are then amazed by its pure awesomeness. 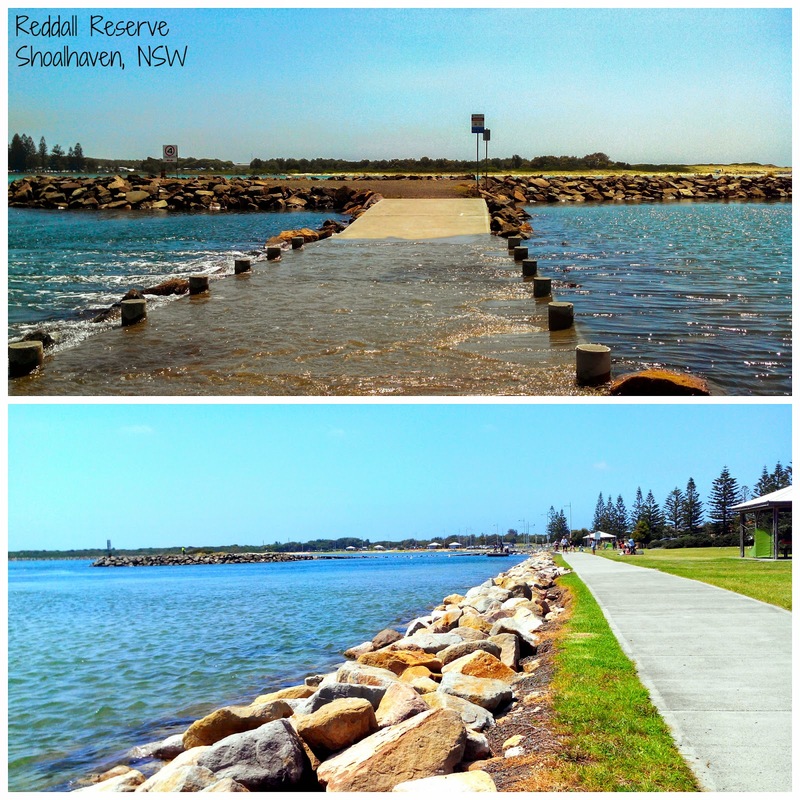 This happened on Day 1 of our road trip, we had stopped by Sea Cliff bridge, crossed Wollongong and were driving through Shoalhaven. Our intent was to locate a restaurant on the Grand Pacific Road route, when suddenly, we saw this huge mass of azure beauty. It looked so stunning that I completely forgot badly my stomach was gripped by hunger pangs. Of course we stopped here, slowly soaking in the beauty and peaceful ambiance of the place. Since it was Christmas, a lot of families were enjoying a picnic and Barbecue at the park. Many of them indulged in fishing too. The water was flowing over the cemented path. It felt quite amazing to walk on the pavement, sandwiched between water, as if you were floating on it. I had never seen so many pelicans in their natural habitat. It was only in zoos and national parks where I had watched pelicans crammed in a small pond. But here they flew freely. I was pleasantly surprised by their wing span as they swam around, catching fishes, playing with their mates. Nature seems to be in sync when both humans and Pelicans fish together. 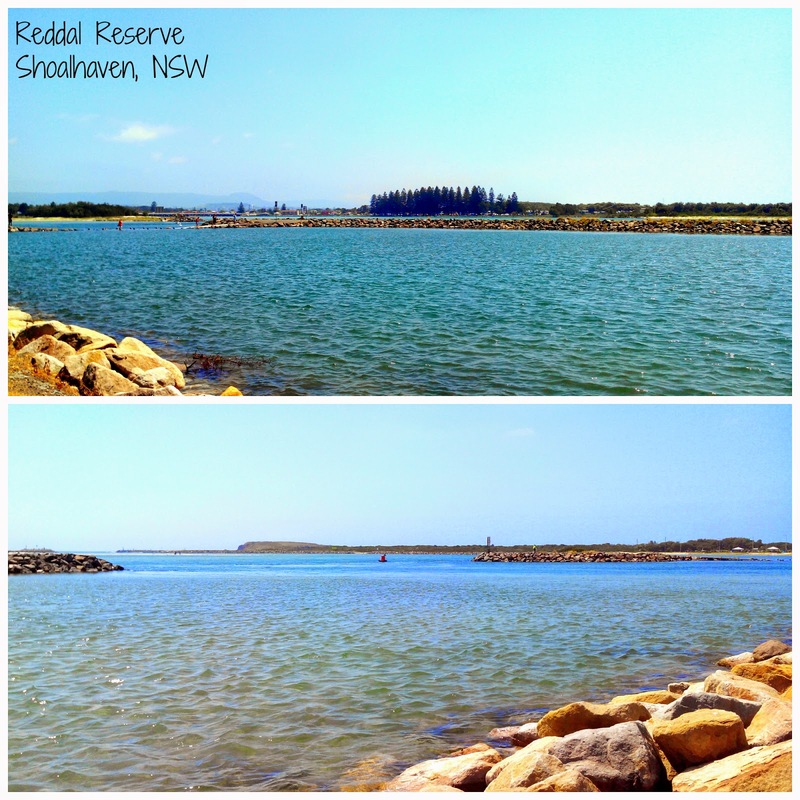 If you are looking to spend some quality time with family near Sydney, head to Reddal Reserve in Shoalhaven. 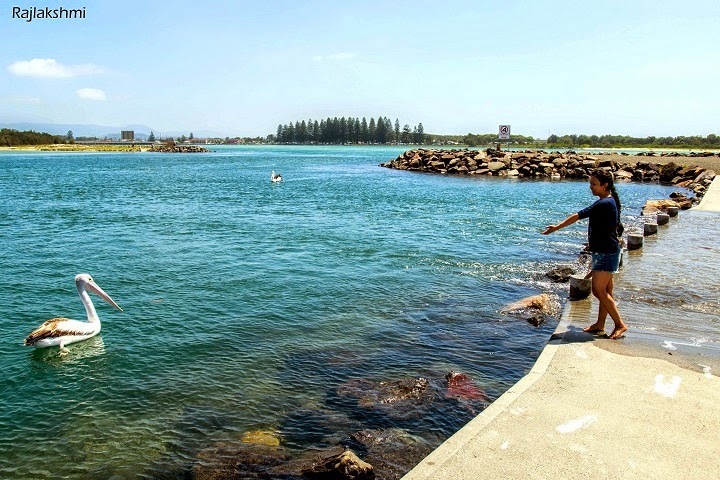 The park has toilets, kiosks, bbq facilities, fishing area and the locales are absolutely stunning. Great pics! Raj your travelogues are very beautiful and interesting.The pelicans are very cute. Gorgeous! You are so fortunate to have such beautiful places within reach. Thanks for sharing your photos and experience! I love how the water is flowing over the cemented path. You truly seem to live in one of the most picturesque places on earth! Lovely pictures.. so deep blue. Great photos! Good for you for stopping instead of passing by. I've decided I don't want to do that anymore when I see something that hits my wondering. I would stop here and let my camera get a workout too. Ooh...looks nice. I haven't been here before. Will try and head there on my next south coast trip. 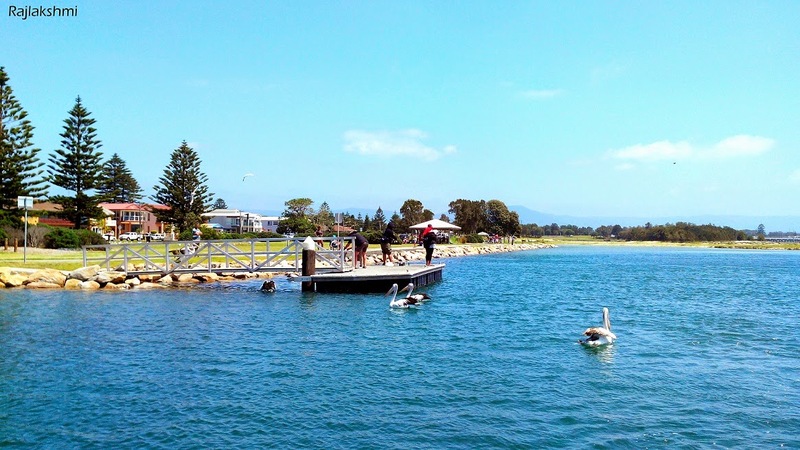 Pelicans are awesome by the way...I saw heaps when I did my road trip down south and also up in Nelson Bay. Such huge birds, and wonderful photos. The water is such a deep and beautiful blue! A very cool location, and great pics! Nearly a cloudless sky of such vivid turquoise blue...dazzling. Such a wonderful photo series. I love the colors and the light! Such Blue water.